Our indoor bounce houses are a huge hit with kids — and a clear winner with their parents who can sit around and watch their kids giggle and play. Kids ages 18-months to 12 years have a blast running, jumping and sliding their way to fun. 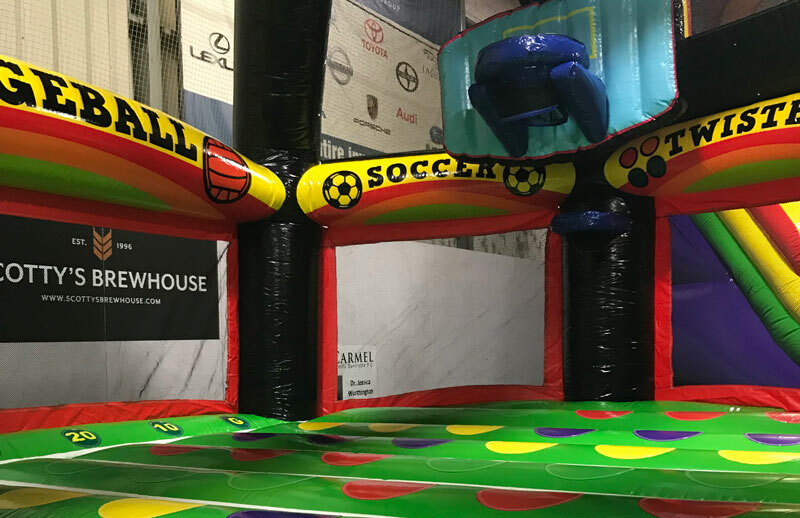 The Off The Wall Sports Inflatable FunZone is great for drop-in playtime, birthday and team parties, youth events, school breaks, field trips and more.